Here are some of the most frequently asked questions received from the community. How do I add a new portal address? To add a new address simply go to the Share page by clicking “Submit Address” in the main menu. Fill out all the required fields (and preferably the optional ones too) then submit the form. The page will refresh and a notification will confirm that your address was submitted successfully. All submissions are manually reviewed prior to being published to ensure quality. Please give us up to 24-48 hours to publish your address. If you were logged in or entered your email when you submitted the form you will receive a confirmation email when your post is published. How do I edit a portal address I submitted previously? If you submitted the address while logged in or if you entered your email then you can log into the Dashboard and using the sidebar go to Post -> All Posts and you will see all the addresses you've submitted (they are listed under the "Mine" tab near the top of the page). From there you can edit each address, removing/replacing the featured image and changing any of the details as you see fit. If you submitted the address anonymously use the "Report/Update This Address" link to advise the changes. Anonymous submissions can be claimed by becoming a registered contributor. To claim an anonymous submission simply register as a new member and then email the Portal Repository administrator to have the address author updated. The address will then show up in your Dashboard and you can make changes accordingly. I visited a planet but the details didn't match. First, check to make sure you dialed the right address. Second, ensure that the address on The Repository is in the same galaxy as you. Addresses in other galaxies will be completely different. Third, if you've double-checked the glyphs and the galaxy click the link under the details table "Report/Update This Address" and provide a thorough explanation of what was different. Fourth, leave a public comment on the address explaining your experience so that others can try and discuss the situation. Addresses that receive multiple reports for incorrect information will be tagged with the keyword "Reported" and a red banner will be displayed above the details table warning Travellers that the information for this address was reported by the community as being incorrect. The planet details match but I don't see any player bases. First, make sure you have "Network Play" turned on in-game. Second, in-game on the Discoveries screen make sure your "Connection to Online Services" is green/active. 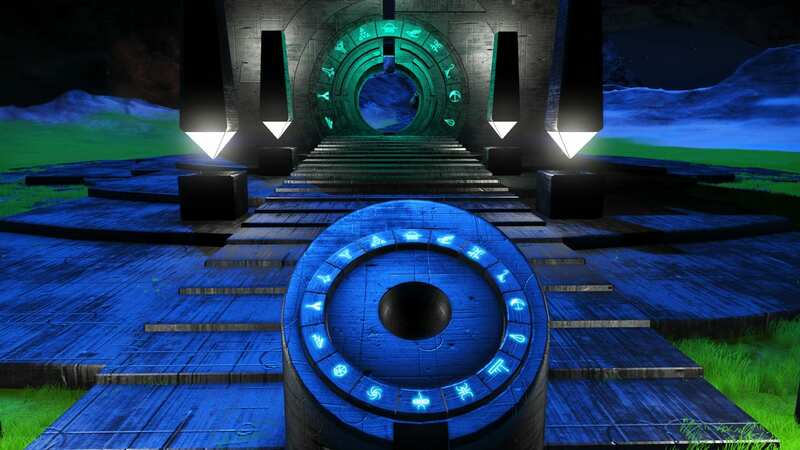 Third, try travelling back and forth through the portal a couple times to try force the base to sync. Fourth, leave a public comment on the address asking the original author to confirm if the base is still there and that they've uploaded their base to the game servers. How do I find an address that I have favorited?